The venue will be decked out in New Years Eve glam decor and will feature a 1 hour open bar + appetizers, champagne toast at midnight and party favors. 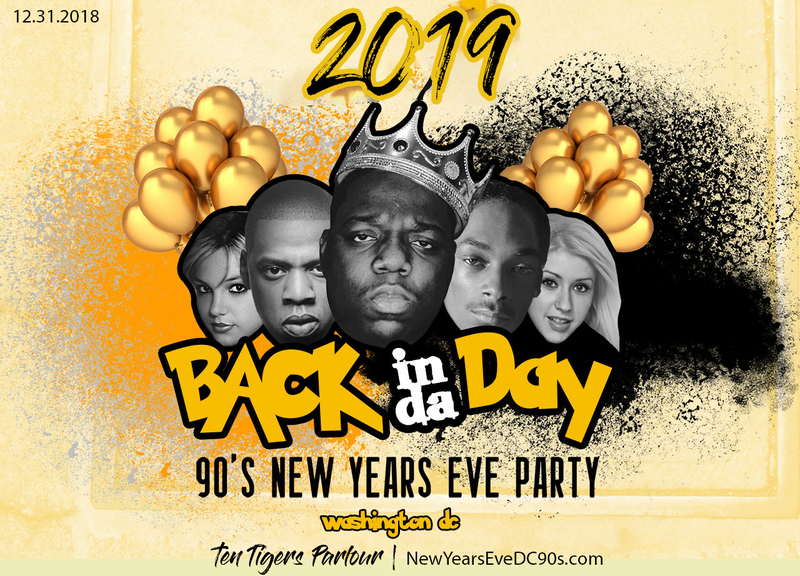 Back In Da Day NYE events have been incredibly successful in cities all over the world, and we are thrilled to bring it back to our hometown of DC! As event creators for the past decade, this is one New Year’s Eve event that we want to attend. Join us as we sip some champagne, listen to our favorite music and celebrate 2019, like it’s 1999!